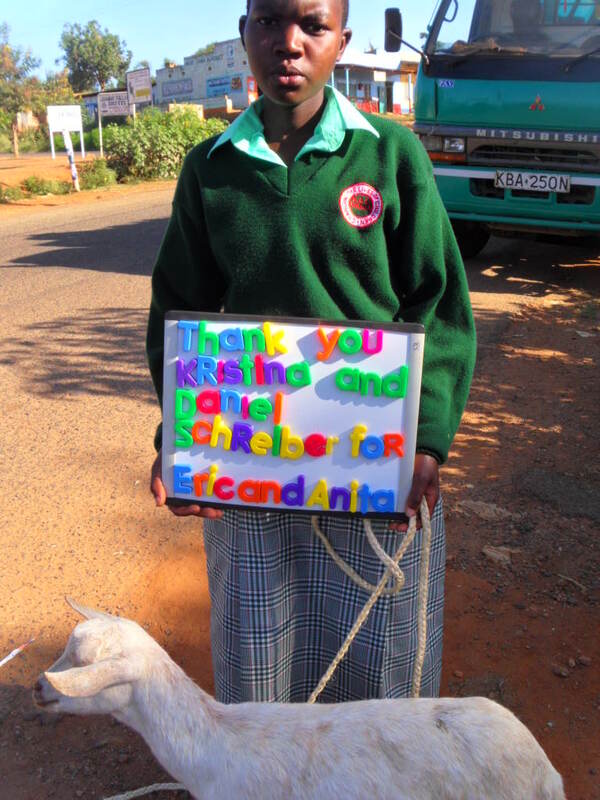 This has been an incredible month in Kenya. 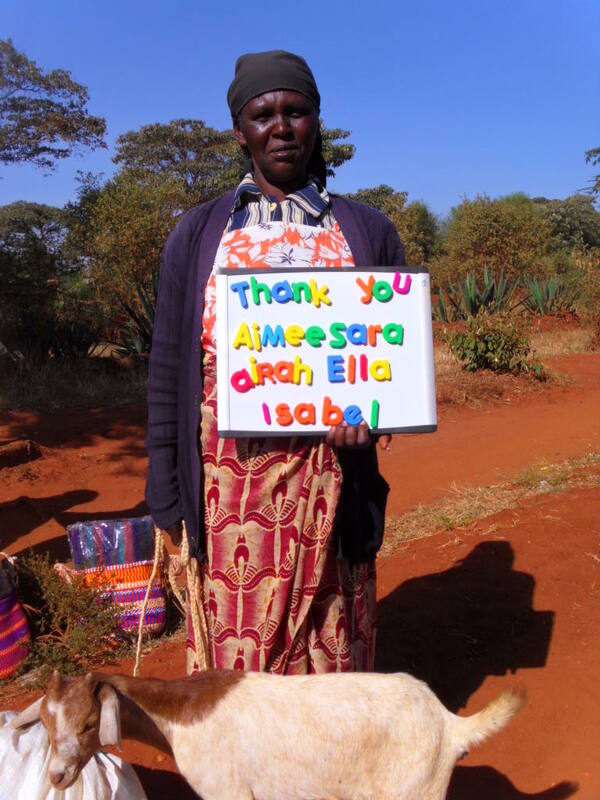 Last week during a distribution day Ruth and Henry gave out a new record – 30 goats in one day! 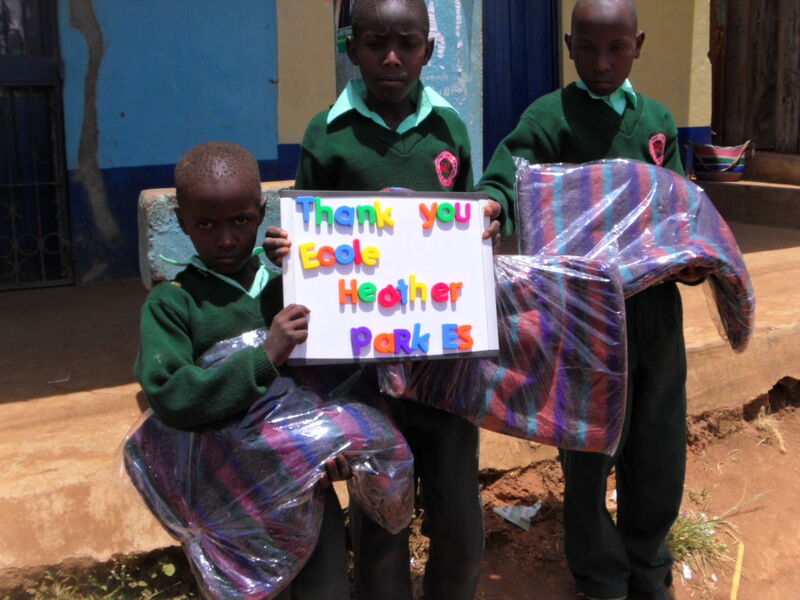 All of those pictures have been shared with the person/school that made the donation and many of them are below. 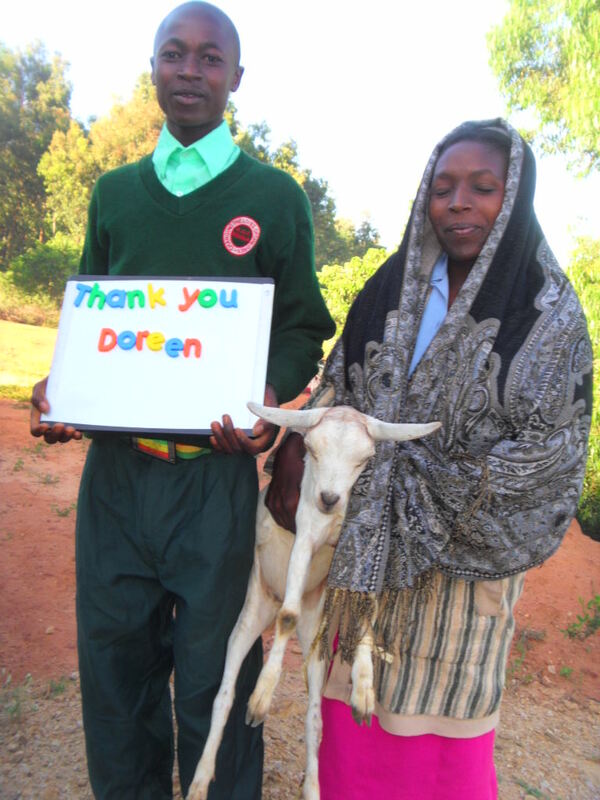 Giving somebody a goat provides them with a secure ongoing supply of milk. This milk can be consumed or sold in the market. 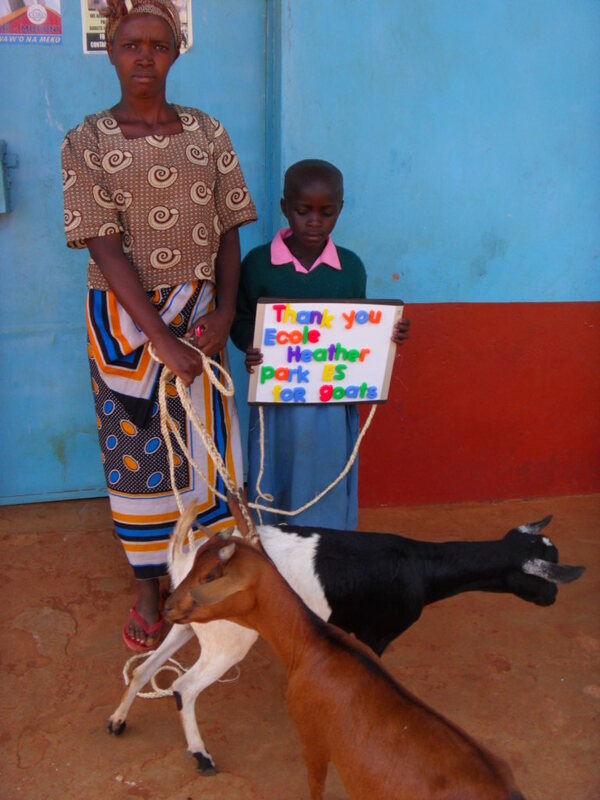 Goats can be raised and the baby goats sold. 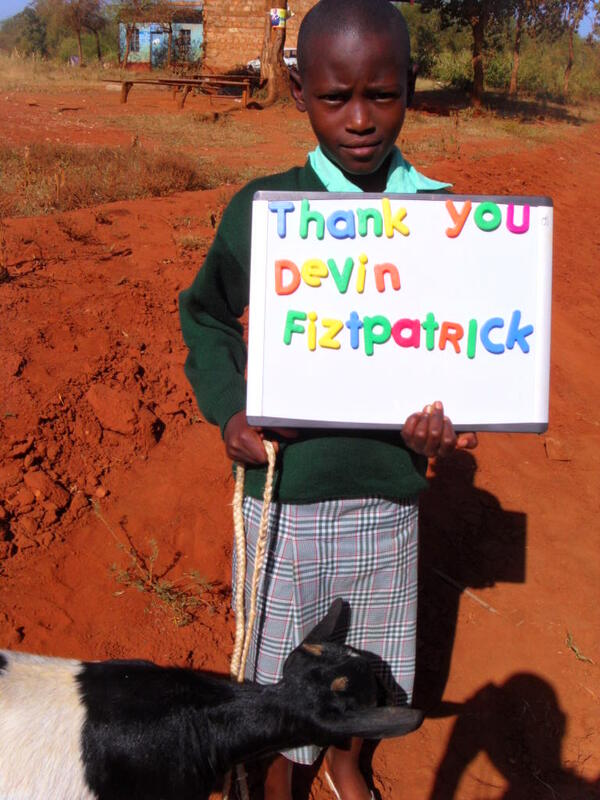 There is such a ripple effect when an orphan is given a goat that impacts on their health, school results, security and their entire future. 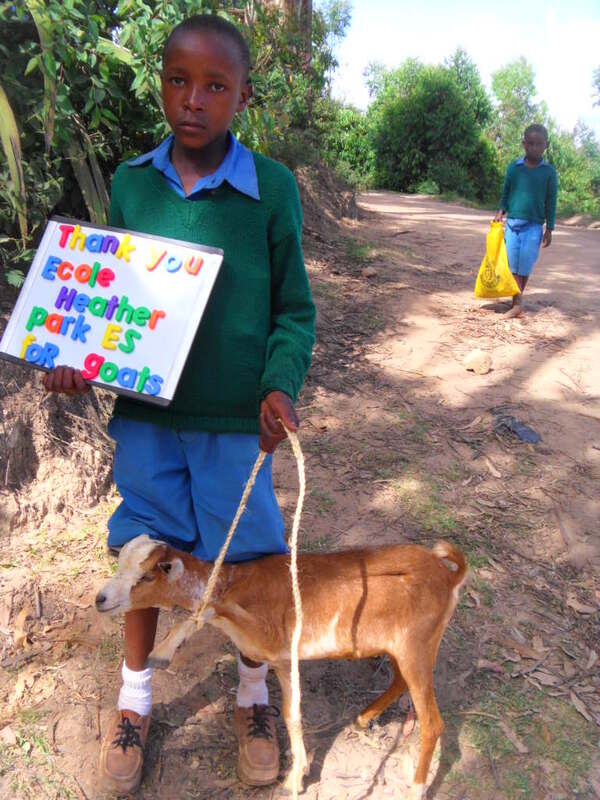 $40.00 buys a goat. 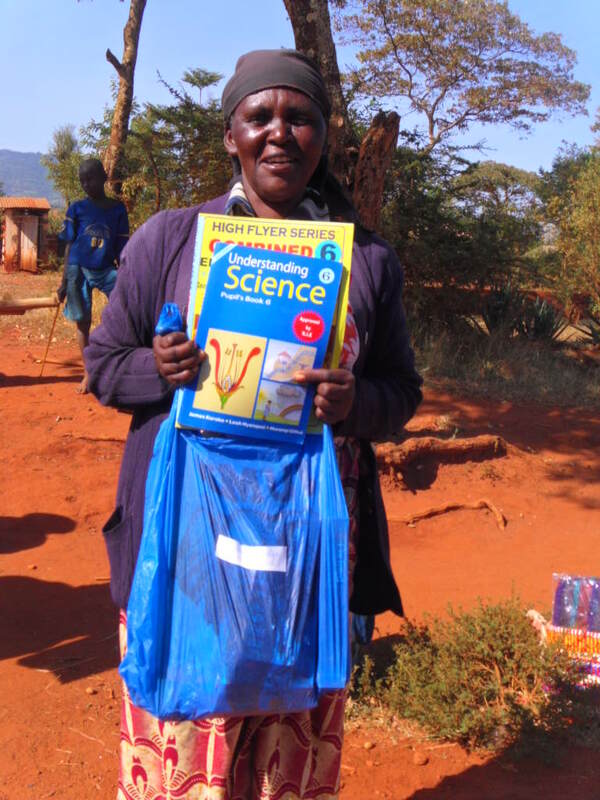 It also buys a more secure future for one orphan. I love goats. 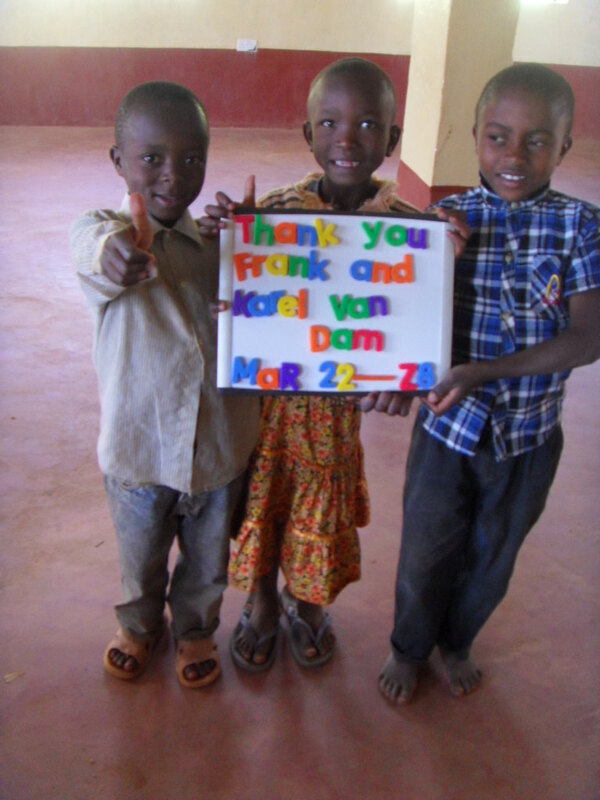 Gunter and Tamara Jahns in New Jersey made a donation which will result in the entire Rolling Hills Residence being supported for two days. 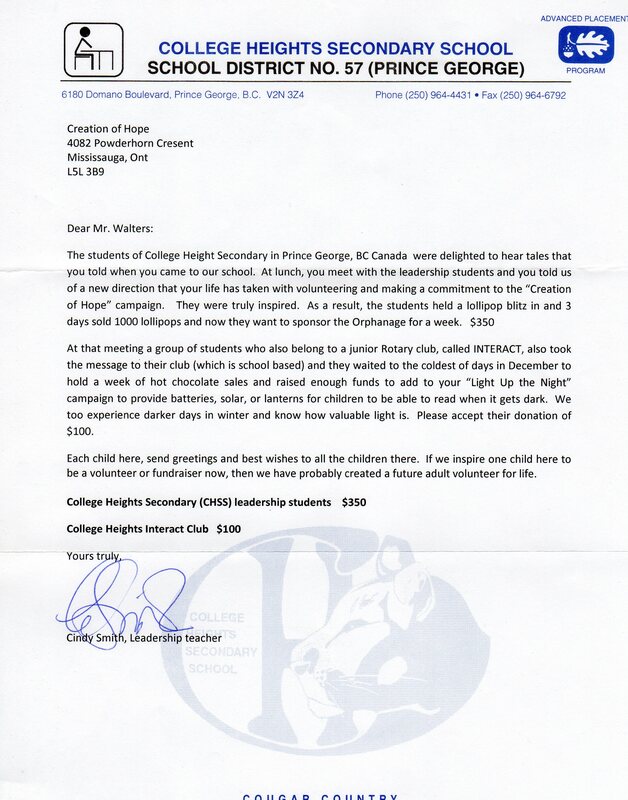 As noted in their letter there will be $100.00 put toward the Light The Night program and in the coming updates we will document what was purchased and which children received lights. 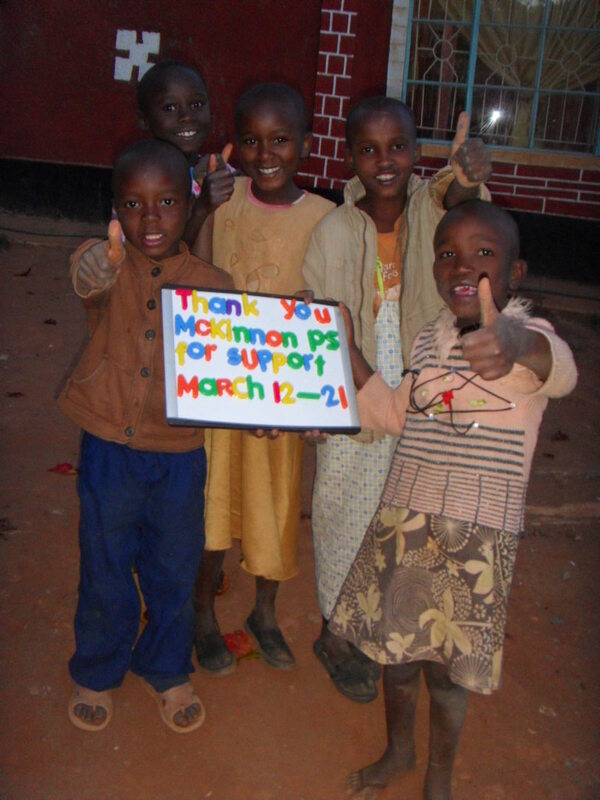 We are happy to inform you that you were the McKinnon inspiration for us wanting to raise money for your orphanage. This is how we raised the money. First, we thought of what we could do to raise money. We had a hard time at first, but then it hit us! Valentine’s day was just around the corner and we usually sell candy grams. 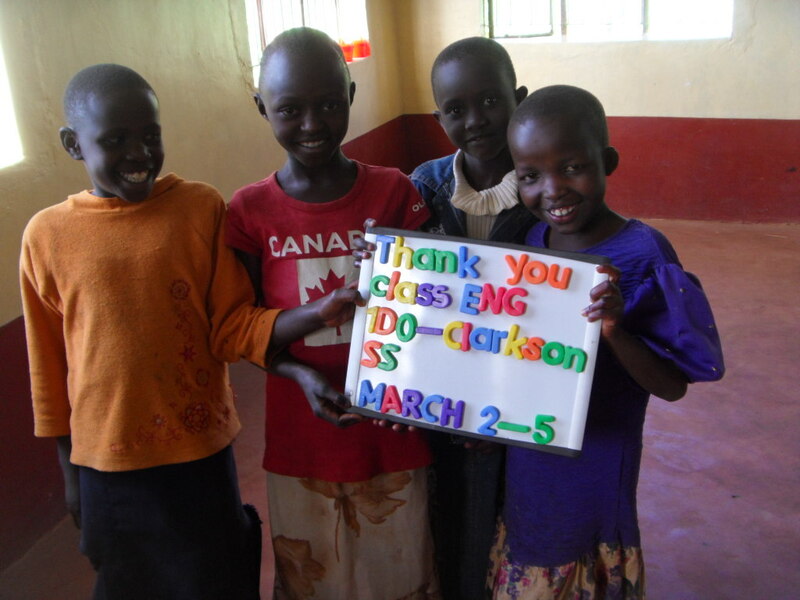 Instead of using the money raised from the candy grams sales for school purposes, we donated the money to your own orphanage in Kenya! Next, Mrs. Sharma-Mehta’s class worked hard to convince students to buy them by making convincing announcements in the morning. Mrs. Rumble’s class also helped sell candy grams and they also created posters that told the students when the sales were taking place. 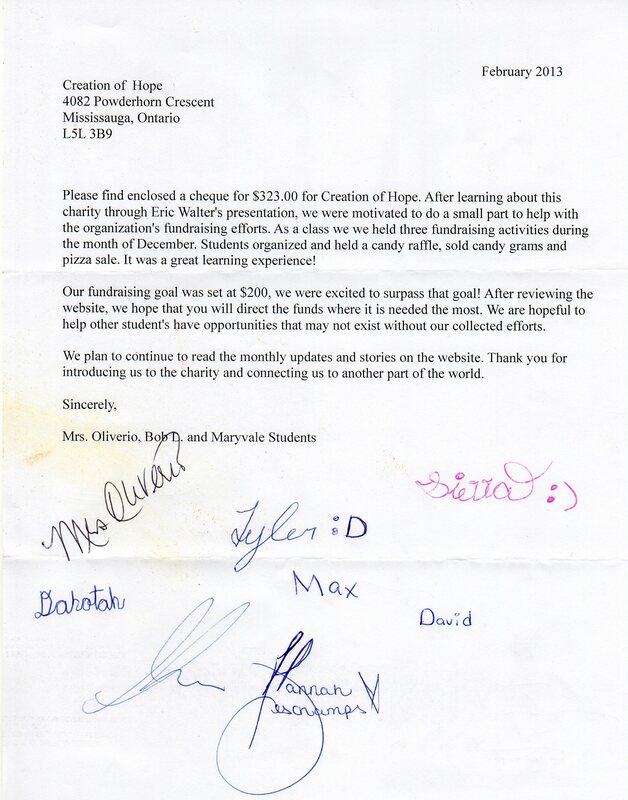 Ms. Beckett generously donated the candy and the rest of the school bought a ton of candy grams. Finally, you might be wondering how much we raised right? 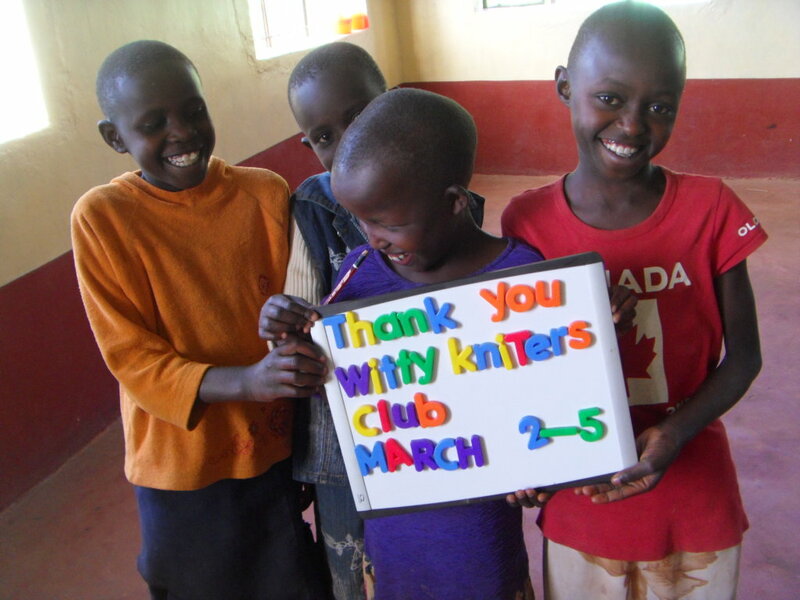 Wait for it, wait for it… WE RAISED 550 DOLLARS! 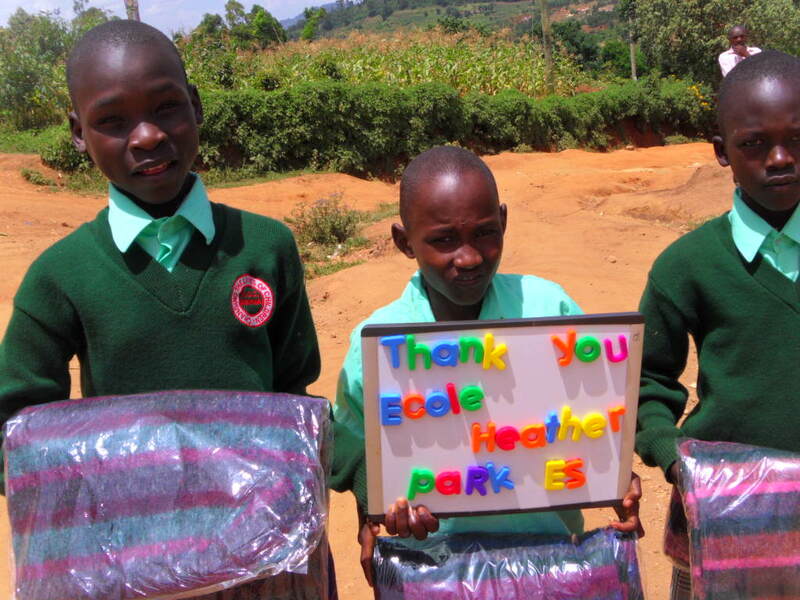 Once again we would like thank you for inspiring us. 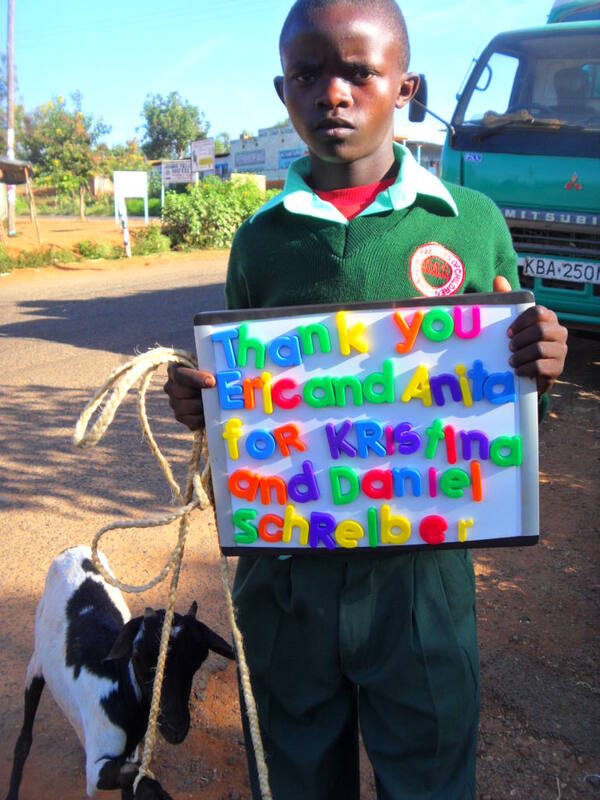 We hope we helped your orphanage a lot. 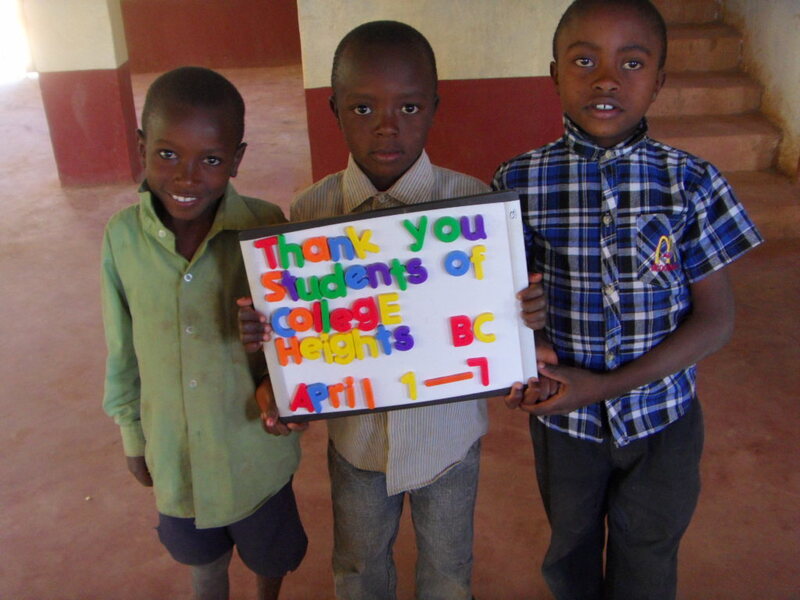 For ten days all of the children at Rolling Hills Residence are fed, provided school supplies, the salaries of the matron, night watchman and tutor are paid, and the electricity, water and sanitation for the entire building. What a gift! This is Benjamin. He is a wonderful young man who resides with his grandmother Grace. 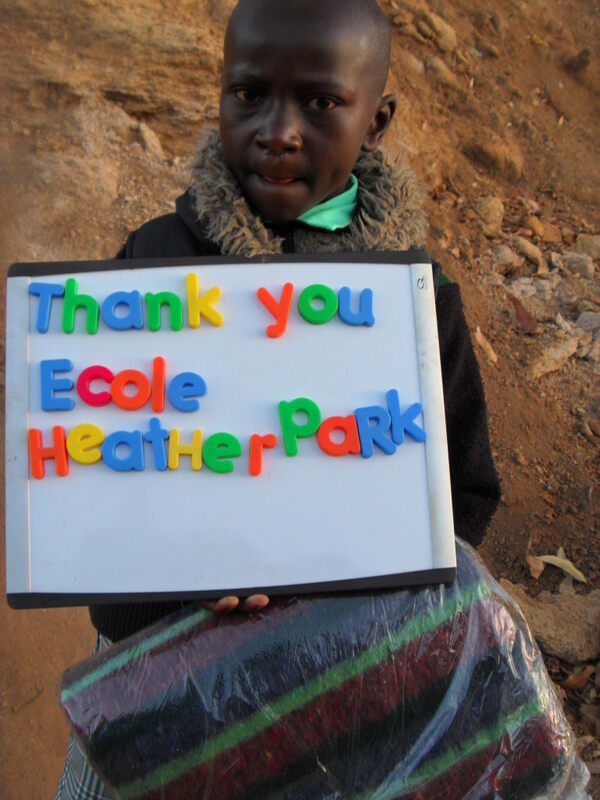 He was in grade 8 when we first discussed with him the possibility of funding his high school education. At that time he had no hope of going further and his marks were poor. 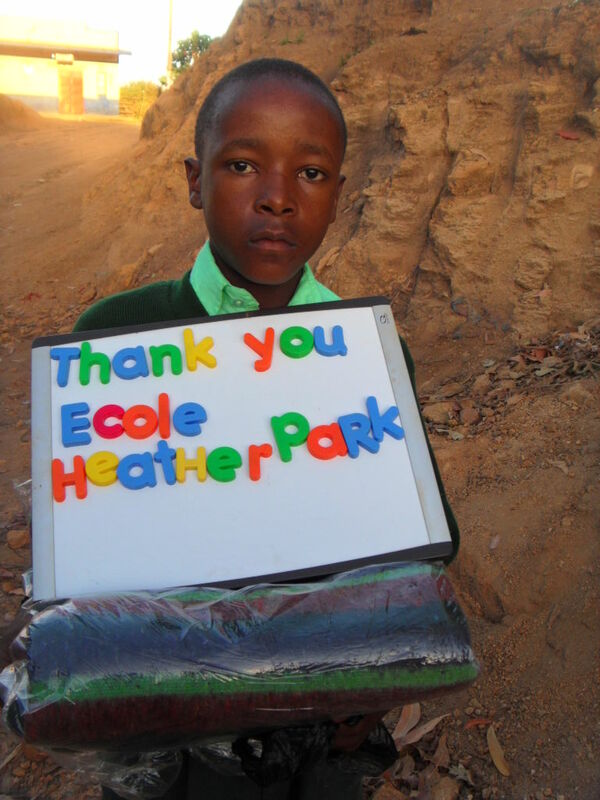 He made a decision to go back two years in his elementary education and to focus on his studies. The results were amazing. He graduated from grade 8 having scored 311 in the National Exams. This was the highest mark of any of the children we have supported coming out of elementary school. 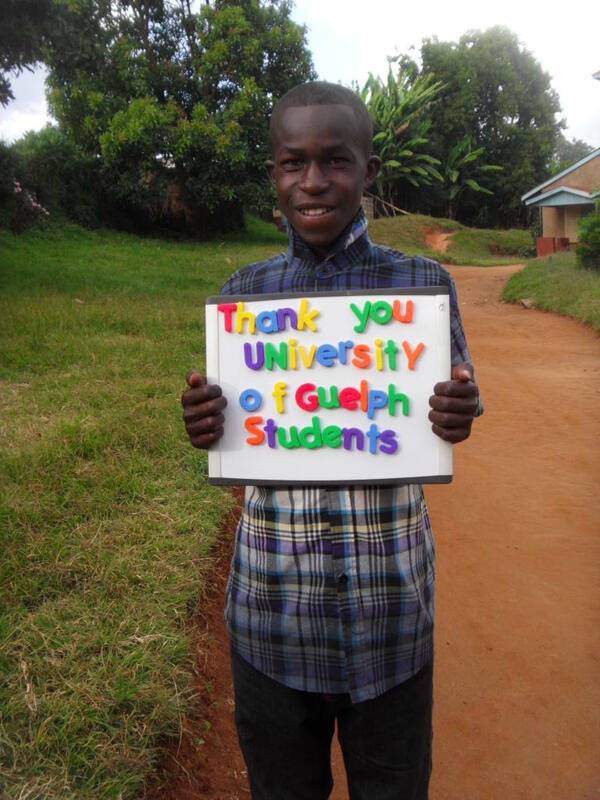 He has qualified for a high level of education and the support from Guelph students will help pay for his first year in high school. 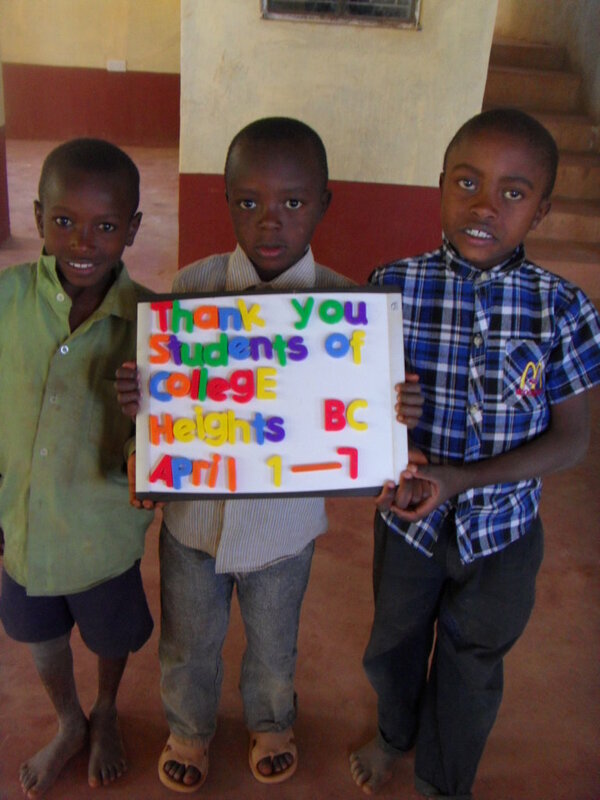 Thank you for helping Benjamin to reach his potential. Another young person provided with help in going to high school. 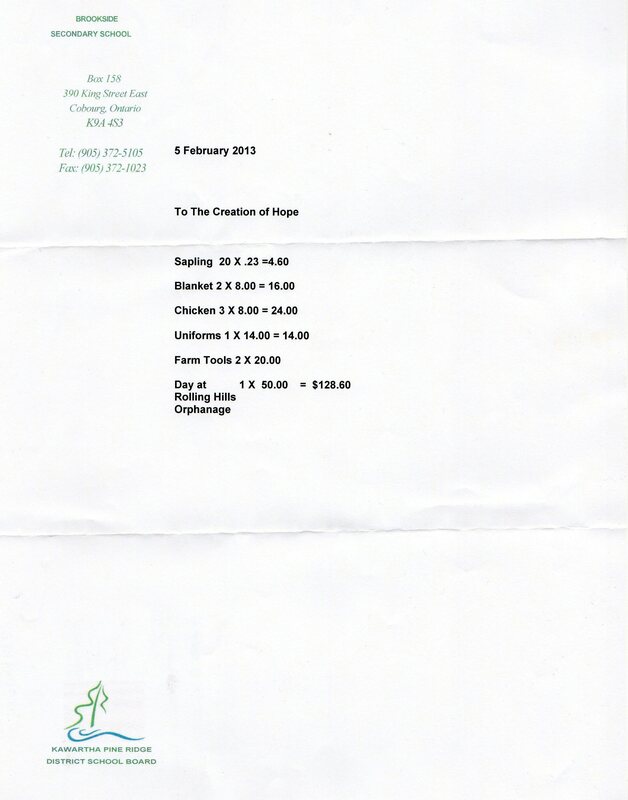 These three days were split between these two sources. 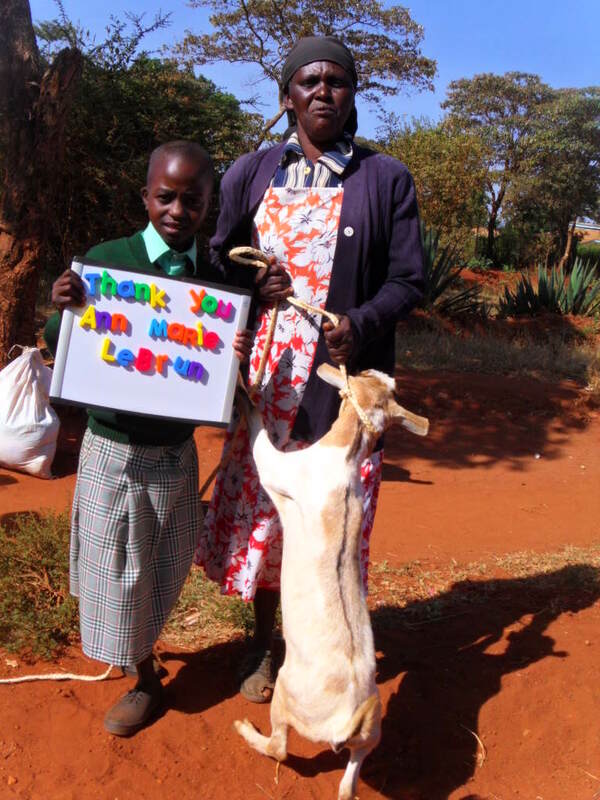 A goat is an investment in the long term health and care of an orphan. It is a source of milk, a potential ‘breeder’ and the offspring sold. 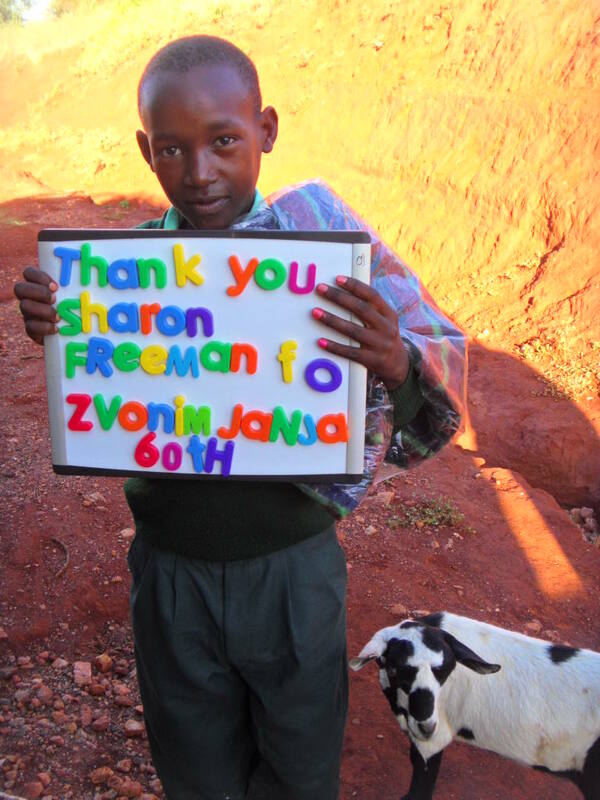 This month we gave away a record 30 goats. 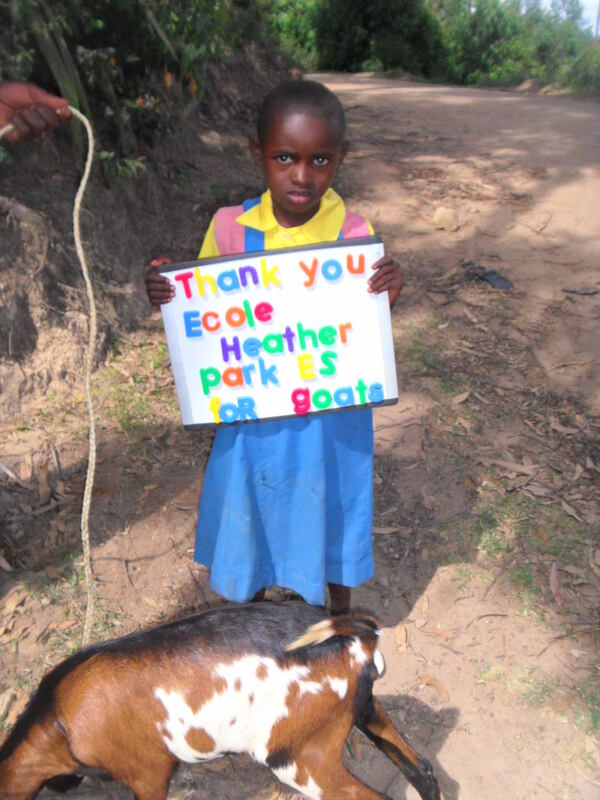 Below are some of the sixteen goats provided by the students Ecole Heather Park. 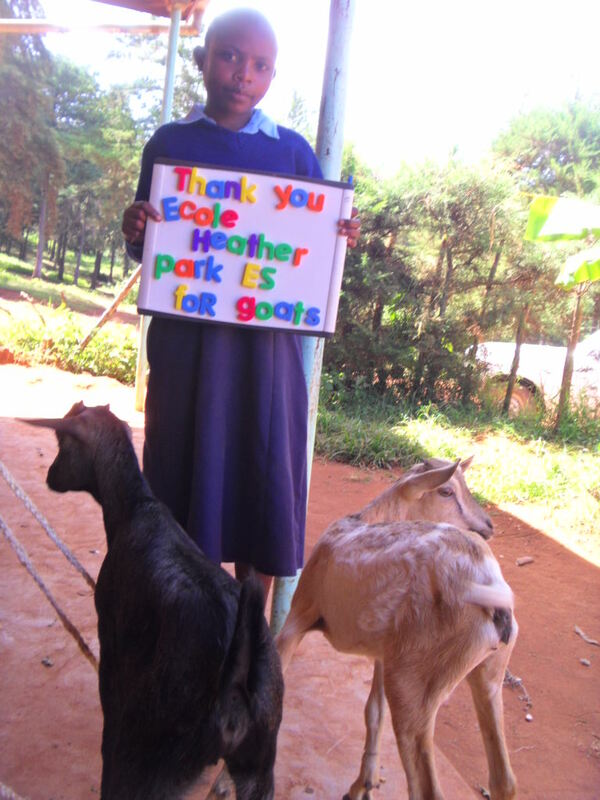 All of the pictures of all the goats they purchased were forwarded to the school. 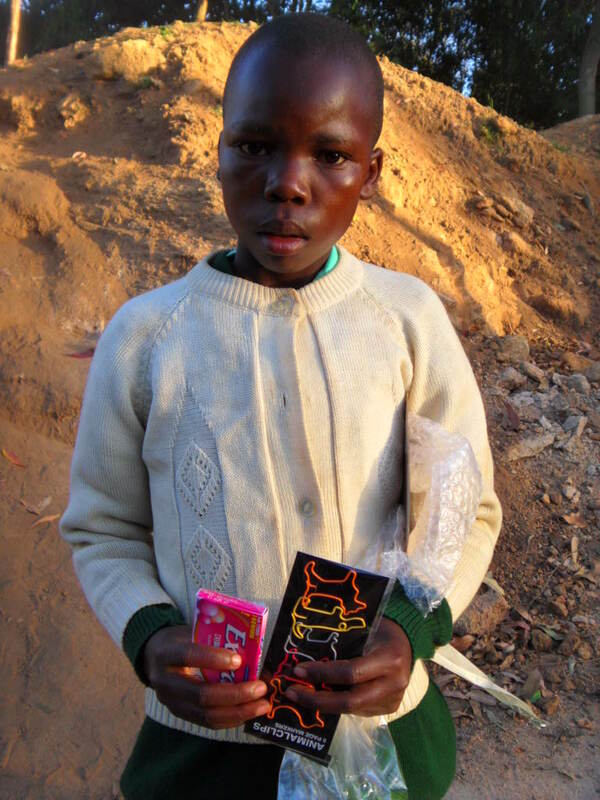 It only costs $8.00 but it makes the difference between shivering in the cold and being warm and secure, the difference between health and sickness, the difference between being ill or in school and learning. 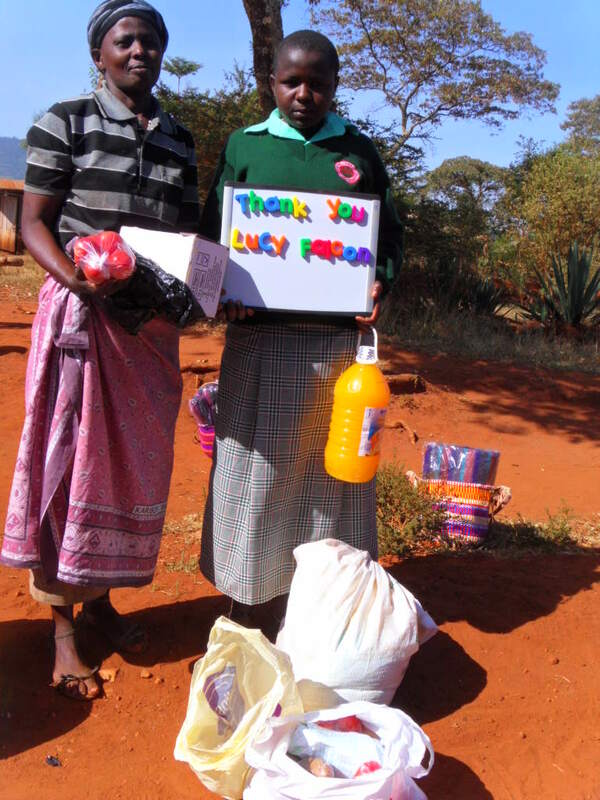 Special presents from Lucy for her sponsored child Mary. 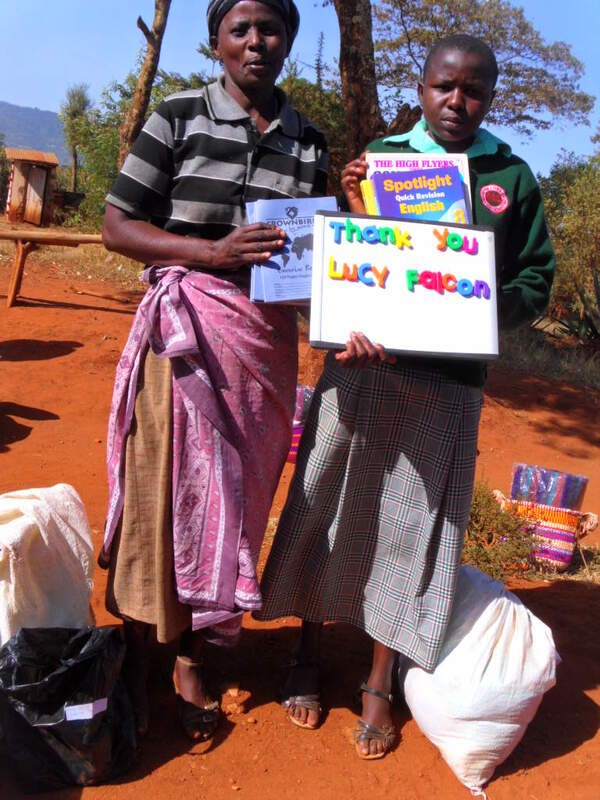 This is even more special because this summer Lucy met Mary, went to her school and homestead and met her family.